This page contains all the information you need to cover Elegantly Vegan. Where to find photos, where to get in touch if you have further questions etc. Have you already written about Elegantly Vegan? I’d love to hear from you if you have written about Elegantly Vegan. Either if it’s the book or the newsletter. Please get in touch so I can link up to your website or publication and help you drive traffic and attention to what you have written. A selection of the beautiful photographs are available on Flickr which are easy to embed and use when writing about the ccokbook/app. Please note that while doing so a link back to the website or directly to AppStore is requested of you as well as a clear source mention (see guidelines below). Access the blog and presskit images here. By using the images included in this set you are obliged to link back to the Elegantly Vegan website and/or AppStore and to clearly state the source of the photographs to: Elegantly Vegan/Sonja Dahlgren with link back to Elegantly Vegan’s website and app. (Only link the Elegantly Vegan text please when creating the hyperlink). I’m more then happy to lend my vegan recipes and photographs in exchange for exposure, features and/or in relation to interviews and link backs to AppStore and the website. Use the contact form or email press at elegantlyvegan dot com with your request. In terms of collaborations, I’m open to discuss any ideas on how I can work together with other people, companies or organizations. Use the contact form or email press at elegantlyvegan dot com with your ideas on how we can work together. 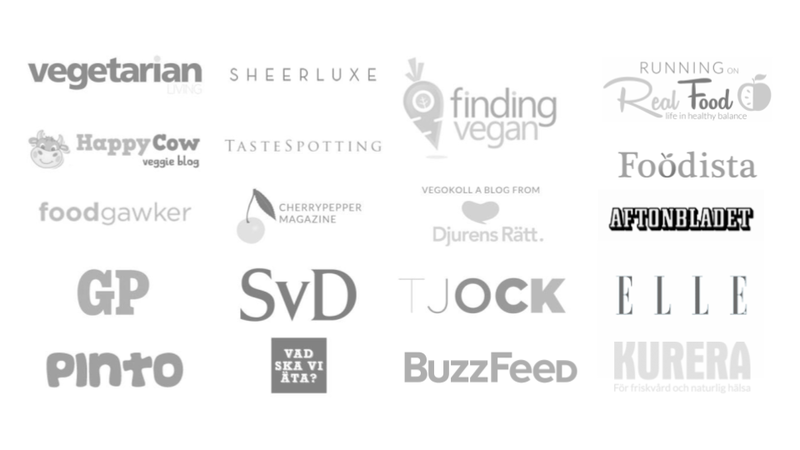 A small selection of magazines, websites and other media – which has featured or mentioned Elegantly Vegan from around the world. Have you written about Elegantly Vegan? If so please get in touch with a link, image or other material on press at elegantlyvegan dot com.